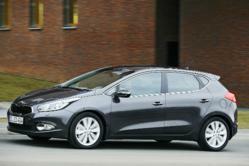 World premiere of all-new second generation Kia cee’d 5-door and wagon. 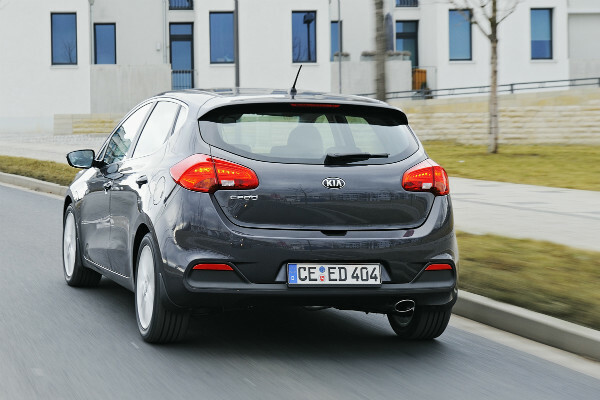 New cee’d features 1.6-litre GDI coupled with Dual Clutch Transmission. European premieres of Kia Ray EV and Track’ster concept car. Infotainment concepts point to the future of in-car communications. The all-new Kia cee’d made its world premiere yesterday (Tuesday, March 6) at the 82nd Salon International de l’Auto in Geneva. Joining the Kia cee’d in Switzerland, the Ray EV (electric vehicle) and the Track’ster concept make their first appearance before a European audience. The highlight of the gasoline line-up is a 1.6-litre Gamma GDI engine, which was named one of ‘Ward's 10 Best Engines’ from WardsAuto World in 2011. Newly introduced to European customers in the all-new cee’d, the 1.6 GDI features the latest gasoline direct injection technology to maximize power (99kW) and torque (165 Nm) outputs.